Now to actually send out the messages, we need to create a message in our .NET code. Here originalXML is the full XML from the original message. Now create the channel using the binding we previously defined. And finally we can send the message. and set Node encoding to String. 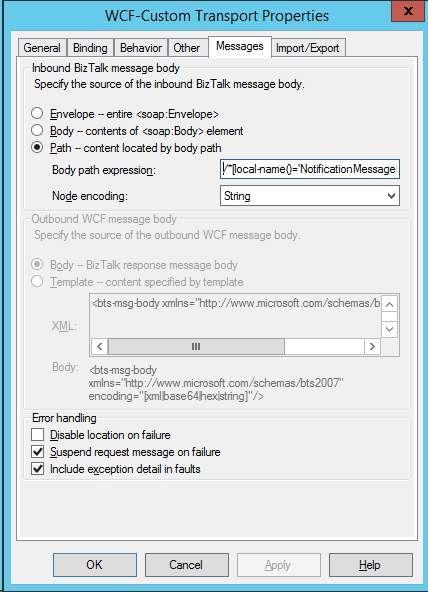 Now when we receive the message from Service Bus, BizTalk will extract the original message, and will publish this message to the MessageBox, where it will continue it’s normal path. You can download the solution I used for testing from here. 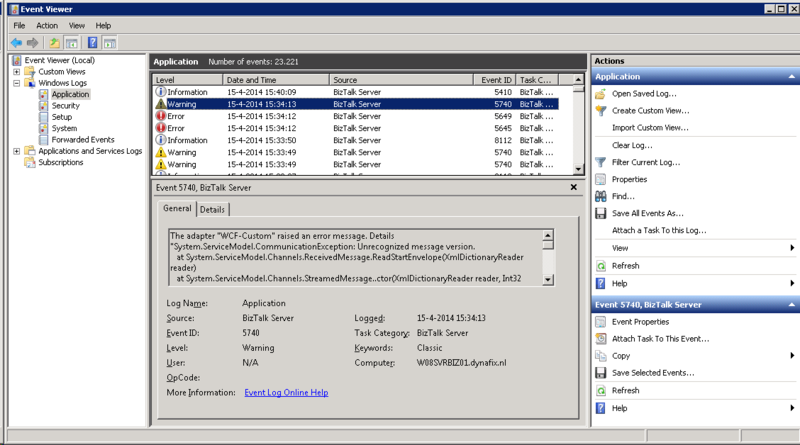 This entry was posted in BizTalk, Service Bus, WCF by Eldert Grootenboer. Bookmark the permalink.